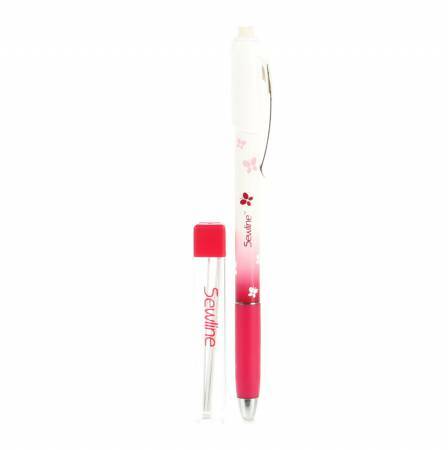 This special pencil uses ceramic leads for drawing on fabrics with a line, clear line. No particles left like tailors chalk or hard to remove marks. Just remove marks with the Sewline Eraser or dab with a damp cloth. No sharpening and messy wood shaving, iust a click! advances the line 0.9pt leads. Easy to refill with up to 6 leads.